Following the recent exposé by EE Publishers on the deepening coal supply crisis facing Eskom, alarm bells are also sounding about the utility’s worsening generation plant performance impacting on South Africa’s medium-term (five-year) system adequacy outlook. There are deepening concerns about the overall state of Eskom’s ageing fleet of coal-fired power plants and the ability of Eskom to meet demand in the next five years. Already, Eskom is operating its emergency open-cycle gas turbines in the Western Cape almost daily to meet demand and avoid load shedding. Compared with 2017, the energy availability factor (EAF) has significantly deteriorated from 78.61% in 2017 to 73.74% in the 2018 calendar year to date, and this is likely to drop still lower in the summer months of 2018. Unplanned plant breakdowns, as measured by the unplanned capability loss factor, are significantly higher than expected, while planned maintenance outages remain high, as measured by the planned capability loss factor. To a large extent this unhealthy situation has been mitigated by flat and declining electricity demand. Weekly demand, calculated from the aggregated hourly metered energy sent out (local generation plus imports), has been hovering around 30 GW for the last eight weeks. If electricity demand picks up, there are likely to be supply constraints. The total energy sent out (GWh) in the 2018 calendar year to date, compared with the same period in 2017, is down by 0.37% to 4,318 GWh as at week 36, 2018, while the peak winter demand for the 2018 year was 34,276 MW — down 3.07% from the peak winter demand in 2017. 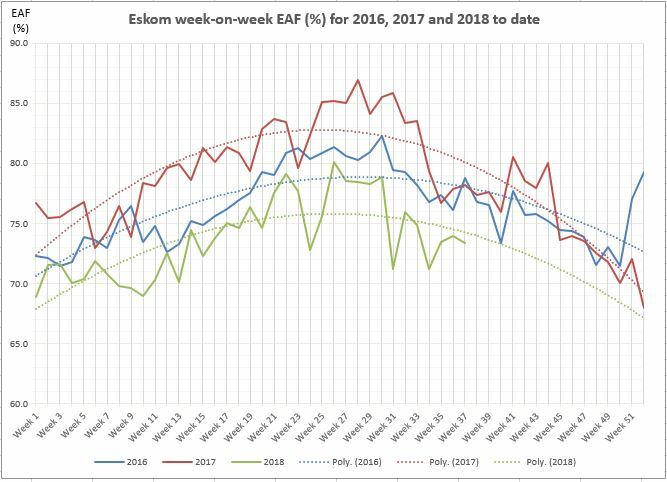 Eskom’s plant performance for the next five years to from 2019 to 2023, as measured by the energy availability factor, is forecast to range between 72% (pessimistic) and 78% (optimistic), with a declining trend in the latter half of the five-year period. However the energy availability factor is now at the lower end of the forecast band at 73.74%. The possibility of further delays in the commercial operation dates of generation units scheduled to come on stream at Medupi and Kusile. 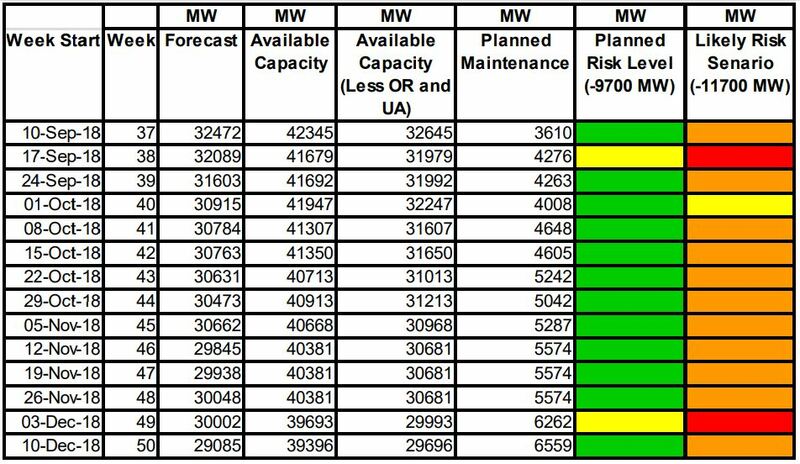 The likely risk of significant supply shortages of 1,000-2,000 MW to meet demand and reserves in the next three months is now significantly worse than planned. Accelerating the construction of liquefied natural gas (LNG) unloading, storage and gasification plants, and gas-to-power generation in the form of gas engines and gas turbines. 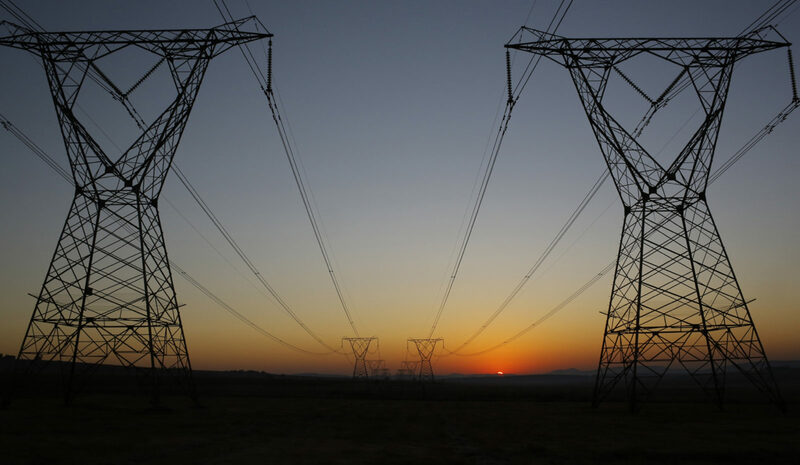 In terms of the System Operation Code of the South African Grid Code, Eskom publishes a Medium Term System Adequacy Outlook report on or before 30 October of each year on the adequacy of the generation system to meet the requirements of electricity consumers for the next five years. Chris Yelland is investigative editor, EE Publishers.